20 Huge Animals That Will Make You Believe In Nightmares! On this planet, we have elephants that can stomp us to death and whales with a heart as big as a car that are the size of three transport buses put side by side. It makes us wonder what other big animals exist out there in the world? Well, how about rodents, bats, spiders, snakes and insects with sizes beyond imagination? Brace yourself for these twenty animals that could easily be one of your worst nightmares. If this doesn’t make you want to leave the planet now, I bet nothing will. The Chinese Giant Salamander is the largest amphibian to have ever roamed on this planet. It reaches up to a length of 180 cm (6 ft), earning a spot in this list. The species was once common in China but due to overhunting, it is now listed as critically endangered. The Saltwater Crocodile is thought to be the largest crocodile in the world. A hunt that lasted for three weeks led to the capture of this massive 21-foot creature. Imagine living in that village during the hunt! On January 2012, this enormous rat was caught and killed in a Foot Locker. The employee who captured it should be given an award for bravery! The Coconut Crab, also known as the palm thief or robber crab, is the largest living arthropod on this planet. With a leg span of 12 inches, this is the world’s largest spider. Here’s another trivia that will keep you up at night: this spider is among the fastest in its species. I have only one word in mind… BACON! These huge starfish live in the muddy waters of the Southern Ocean in Antarctica. There isn’t much information available about these creatures, but one thing’s for certain– their sizes are definitely taking away their cuteness factor. The Titan Beetle is the second largest known beetle in the world. There have been reports that these creatures can actually cut into flesh. They have strong jaws and sharp spines; qualities that are quite scary. The Bismarck Flying Fox got its name from the Bismarck Archipelago in Papua New Guinea, where it was first discovered. It is currently classified as a Nearly Threatened species. The Nomura’s Jellyfish is as tall as an average-sized man. 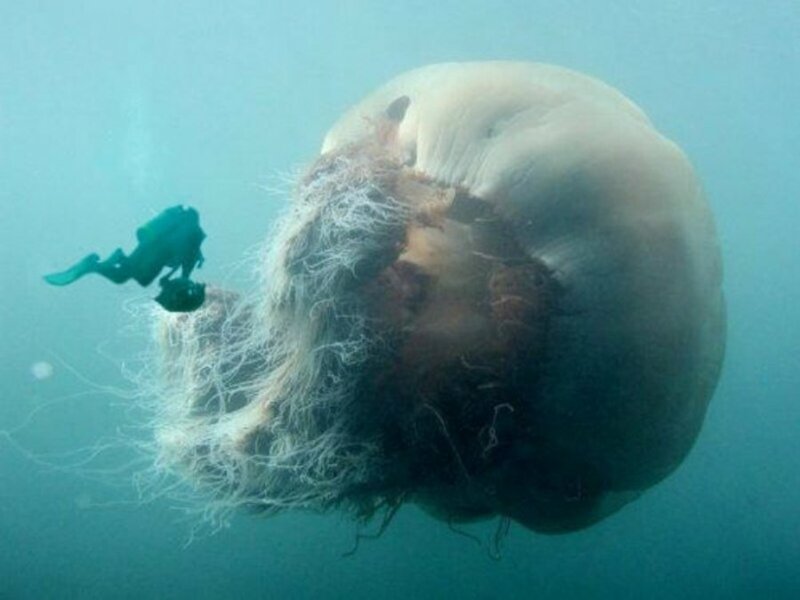 It belongs to the same class as the Lion’s Mane, which is the world’s largest known Cnidarian. You’ll be surprised to know that Japan actually produces ice cream out of these jellyfish. These domesticated rabbits aren’t really different from regular-sized rabbits. Basically, you just have to cater to their size. The Cane Toad is a common species in South and Central America. They are considered pests because of their poison glands and toxic deposits. A reason to change your hometown, perhaps? These snails, scientifically known as Achatina Fulica, are natives of East Africa. Like any other type of snail, they harm Africa’s agriculture. However, they’re treated like pets by locals. Look at the size of that cricket! Big enough to eat a whole average-sized carrot, these crickets measure up to seven inches in wingspan. Thankfully though, its only known habitat is a small island in New Zealand. These creatures are widely common in the South and Southeast Asia. Stingrays are classified by the IUPAC as Endangered due to the high meat and recreation demand. It’s a shame because they’re actually kind of cute, don’t you think? 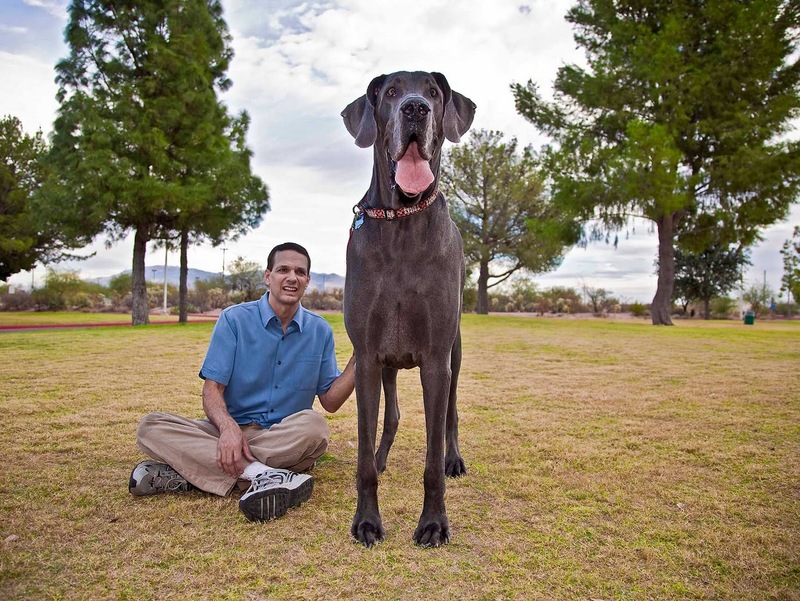 George here, is the tallest living dog in the world. That’s probably enough reason to give him giant doggy treats! The Goliath Frog can grow up to a staggering 32cm. It is now endangered because of the destruction of its habitat. It is the largest living frog on this planet. The Mekong Giant Catfish is now a critically endangered species. It is highly revered in Thai folklore, but little is known about these huge catfish. They have abandoned their usual spots and are limited to isolated areas in the Mekong River. 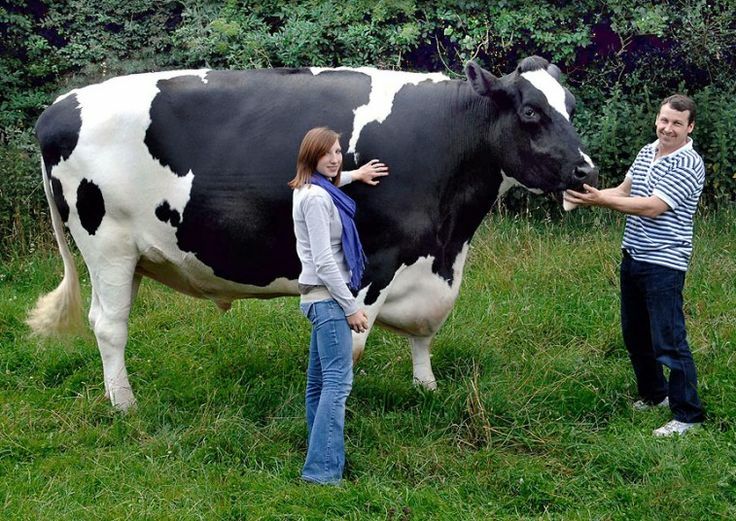 Trigger the cow weighs about a ton and measures more than six feet in height. Those dimensions are staggering! The original owner of this Friesian cow intended to kill it when it was just a day old, until his neighbor stepped in to save it. Talk about being blessed! This one is truly what nightmares are made of! It weighs up to 41 pounds and can seriously injure people with its long and mighty claws!